Members of the PSLC: I am heading up an effort to catalog and collate the individual philatelic libraries of the PSLC membership under the heading of the PSLC library. The intent is to make available to the membership philatelic reference books for their research projects. To be sure, every one of our reference books is available at the American Philatelic Society (APS) Reference Library (or APRL) in Bellefonte, PA. However, Lancaster is a lot closer! Many of us already borrow books from each other for our research work. But, why not have a listing of what’s available for all members to use. It goes without saying that for this to work, our members must be willing to list your reference books and be willing to loan them to other members. This involves a lot of trust. But, if we cannot trust one another, we’ve all got a big problem. Sometimes our research work can be answered by a phone call or E-mail to a fellow member, IF the researcher knows that the information he/she needs is sitting in a fellow member’s library. In this case, physically borrowing the reference book may not necessary. 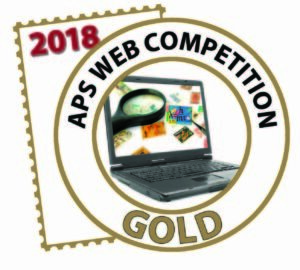 This PSLC Philatelic Library Form will serve as a format for the submission of the references (to include Submitter, Title, Author, Date, Comments). After you’ve sent in your individual listings, I will collate and alphabetize the list into a master list. Please use the comments section liberally. If the reference book subject is not obvious from the title, explain it. I want to consider auction catalogs as list-able references, too. Personally, I don’t save too many auction catalogs, but I DO save Name sales. These usually represent the sale of a specialized collection and they are usually very well written up. A work like this will take a lot of time; both for you and for me. My goal is to have the list done before the end of this year. That said; don’t wait until December 1st to submit your material. Please feel free to contact me with problems, questions, and concerns. 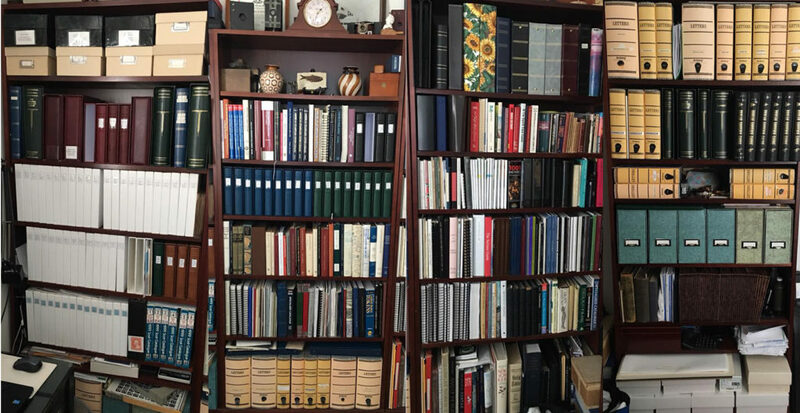 As we build the master library, Hal Klein and Richard Colberg were kind enough to provide Charles DiComo with their extensive Excel database of philatelic journals, references, auctions catalogs, monographs, catalogs, etc. It has been simplified to denote Title, Author, Date and Notes and converted to PDF. If you have any questions for either, please reach out to Hal at halklein@comcast.net or Richard at appraisestamps@gmail.com.